Melburnians are lucky because we have so many places to explore right on our doorstep. There’s the Great Ocean Road, Yarra Valley wine region, several mountain ranges, and the one that I visited most recently: the Mornington Peninsula. 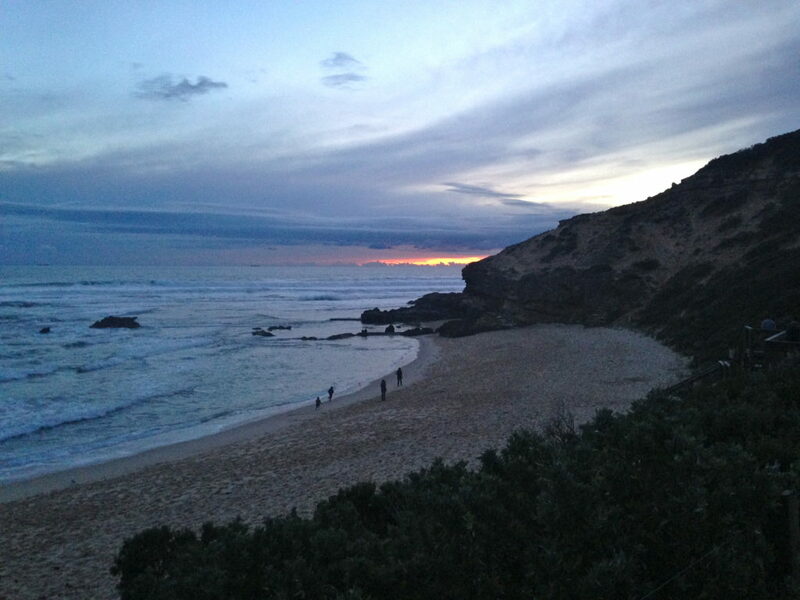 Ever since arriving in Melbourne last December, I’ve heard and read about how incredible the Mornington is. Then when Melbourne had a long weekend recently (for the football finals I should point out! ), I jumped at the chance to finally explore all the peninsula has to offer! 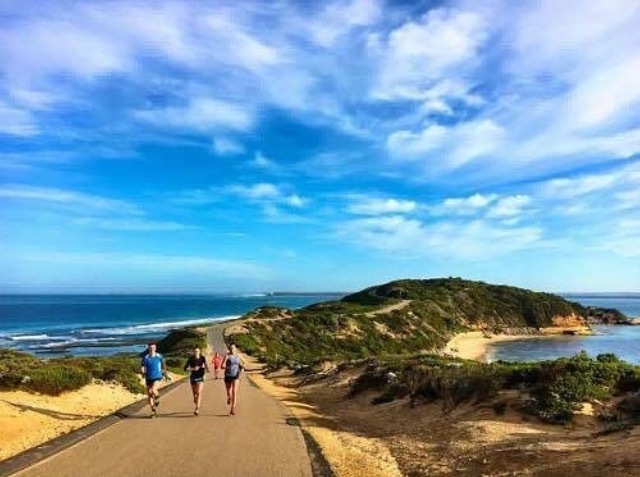 Being about an hour from the city, the Mornington Peninsula is a pretty perfect place to visit for a break from city life. 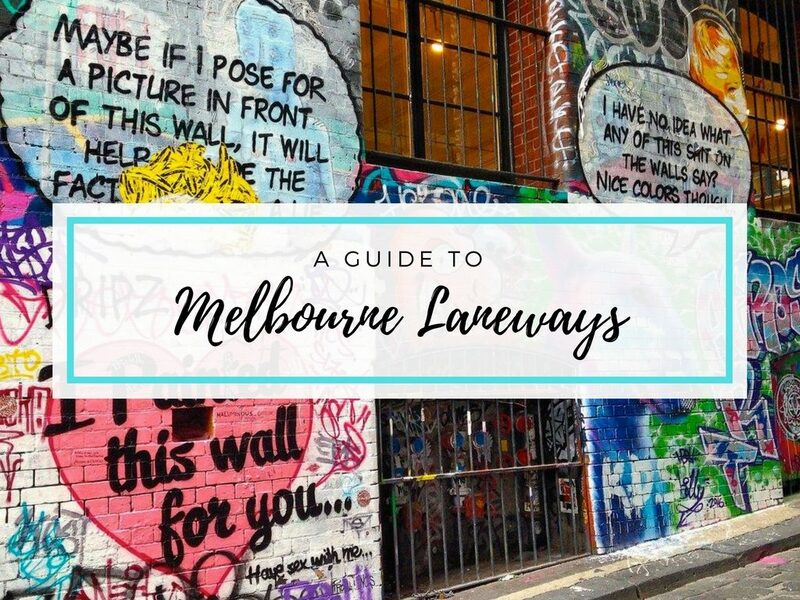 It has so much going on and really combines all the best elements of other regions surrounding Melbourne! 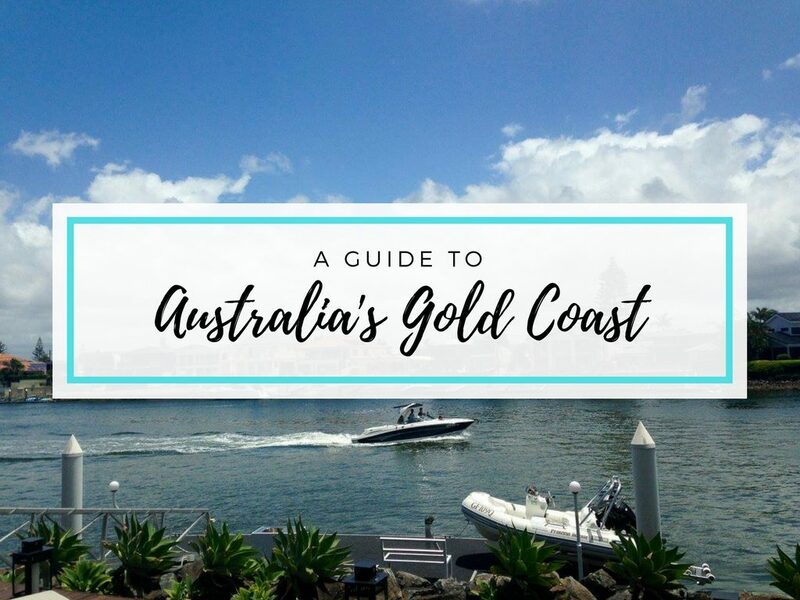 It has beautiful beaches and coastline, too many wineries and breweries to count, amazing hikes, incredible views, and restaurants that are a foodie’s dream. 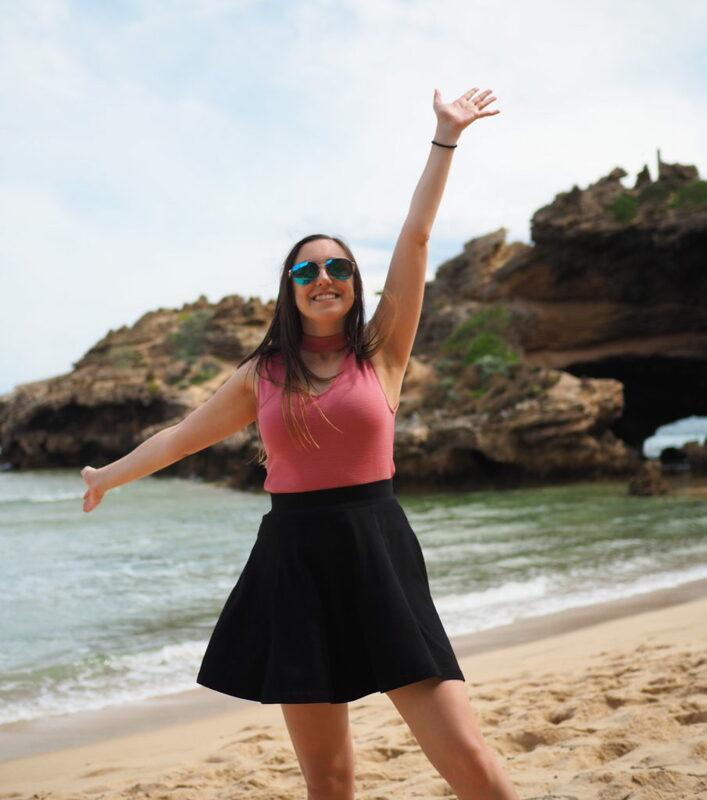 In order to visit the Mornington Peninsula, you can book a tour out of the city or take the train down to Frankston and buses from there. 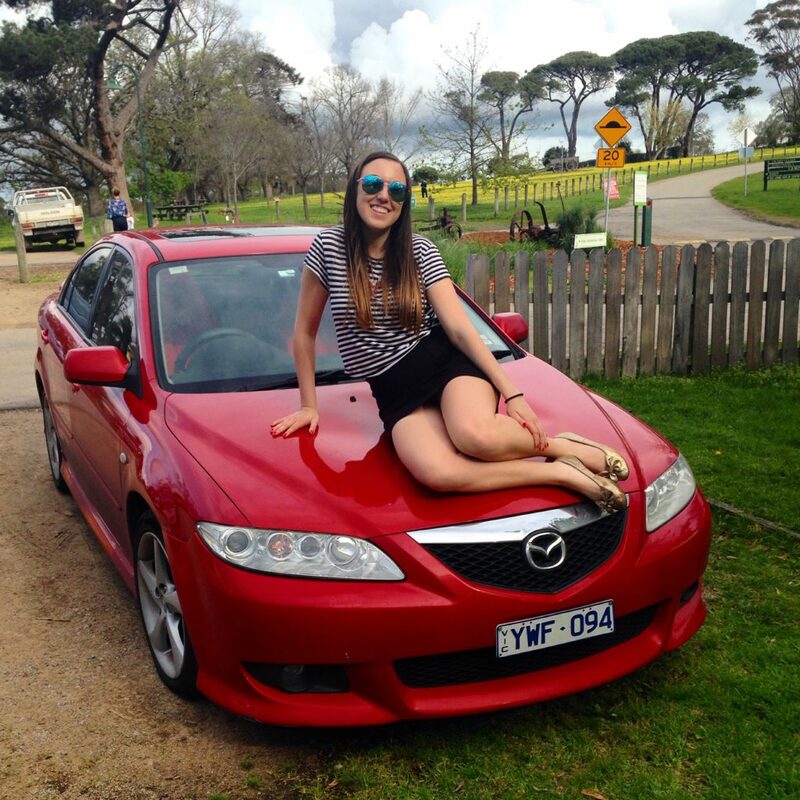 But definitely the best way to experience all that the peninsula has to offer is to hire a car for a couple days! My boyfriend and I reserved a cool sporty car from a new car sharing website called Car Next Door, and made the quick drive down to the peninsula! I’d definitely recommend using Car Next Door and you can check out their website here. Although I could’ve contacted the best bad credit no money down car dealerships near me. 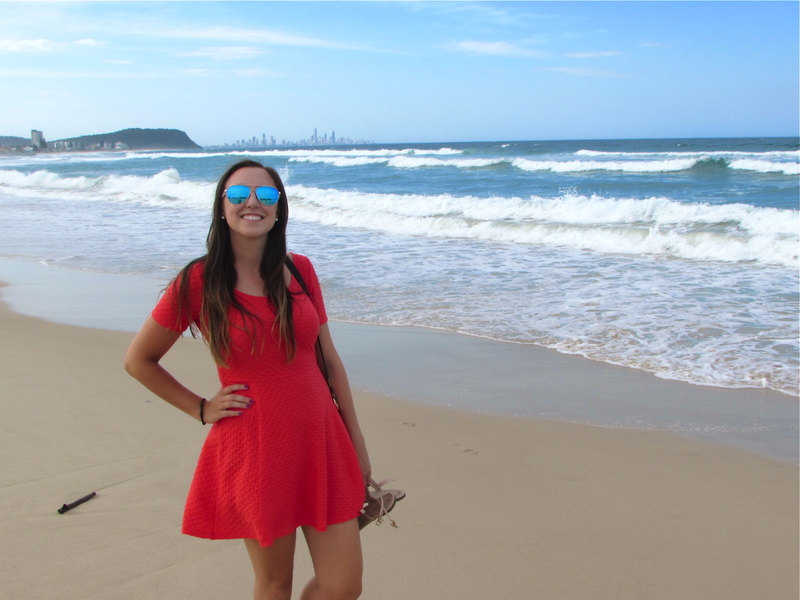 Once you’re there, there is also so much variety for accommodation depending on your budget. 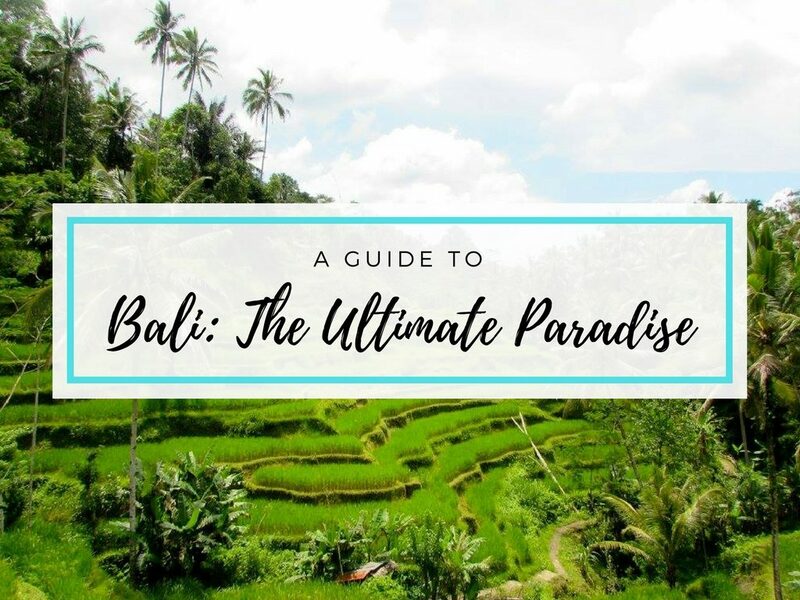 There are luxury resorts, backpacker hostels, charming little hotels, and Airbnbs. And no matter your travelling style, there will definitely be something on the peninsula for you! 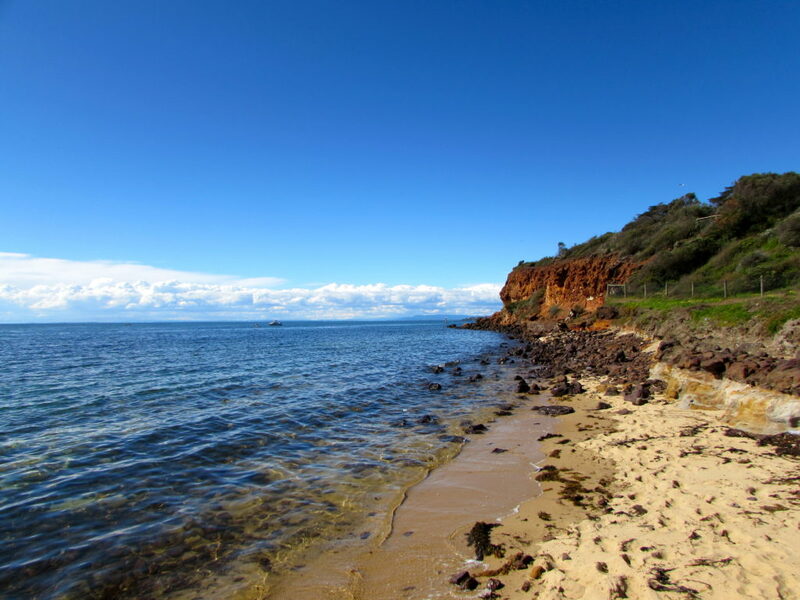 Once we arrived onto the peninsula, we grabbed a quick lunch in Mornington’s town centre and then made our way over to the nearby Mills Beach. It’s a really pretty beach with views of Melbourne off in the distance, boats sailing by, and orangey coloured cliffs. 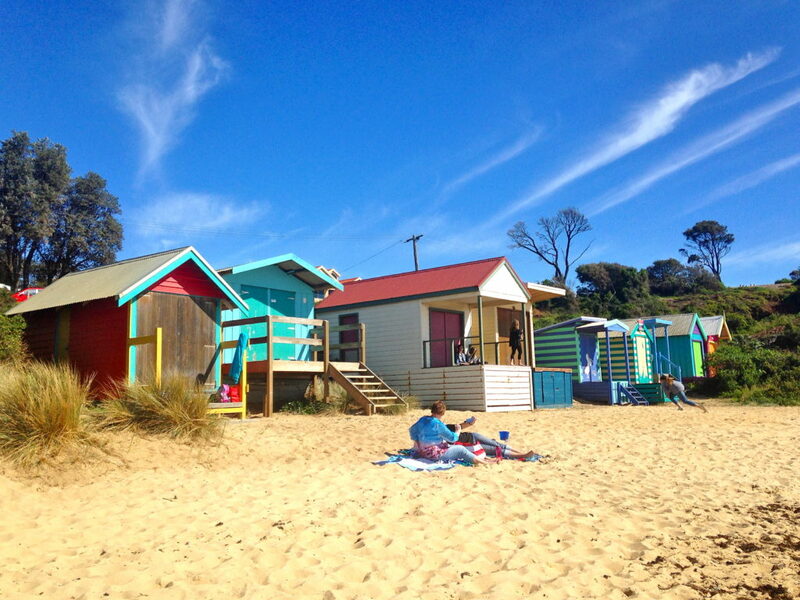 It’s also lined with lots of colourful painted beach houses, which reminded me of Brighton Beach in the city. 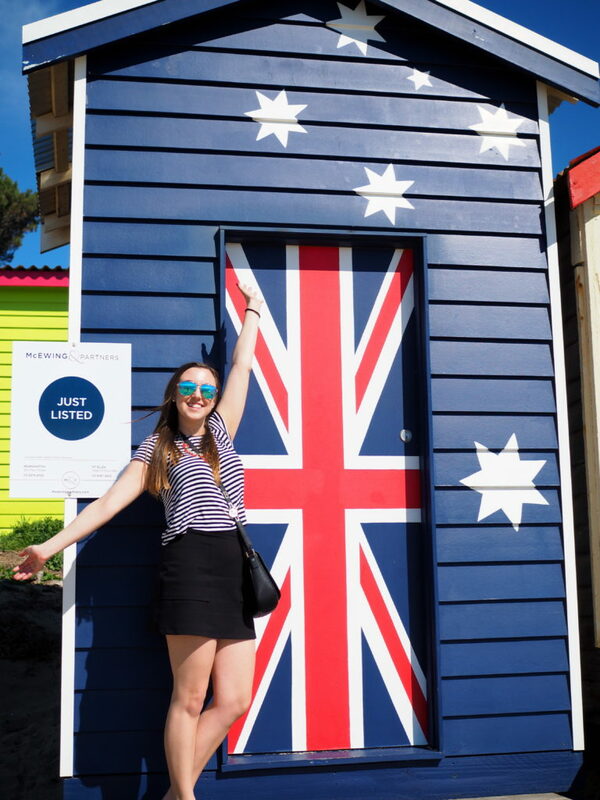 Make sure to get a picture in front of the one painted like an Australian flag! 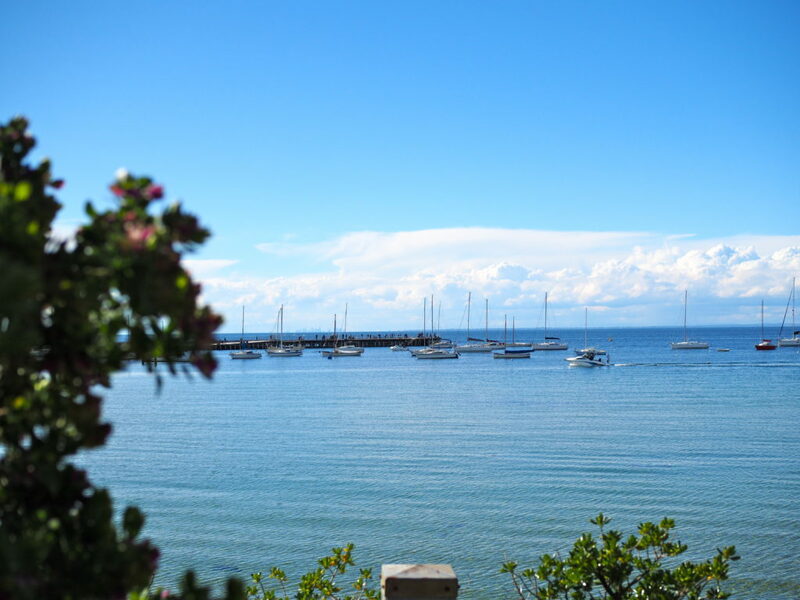 One of the most popular beaches to visit on the peninsula is Sorrento Back Beach. In fact, it’s also a really popular spot for wedding photos and wedding receptions which we got to witness from afar! There are amazing cliffs on either side of the beach, and it’s especially beautiful at sunset when the sky turns a bright pink colour. Another beautiful sunset spot in Sorrento is the Bay of Islands. There’s a really pretty beach and lots of different lookout spots to view the beach, cliffs, and ocean. 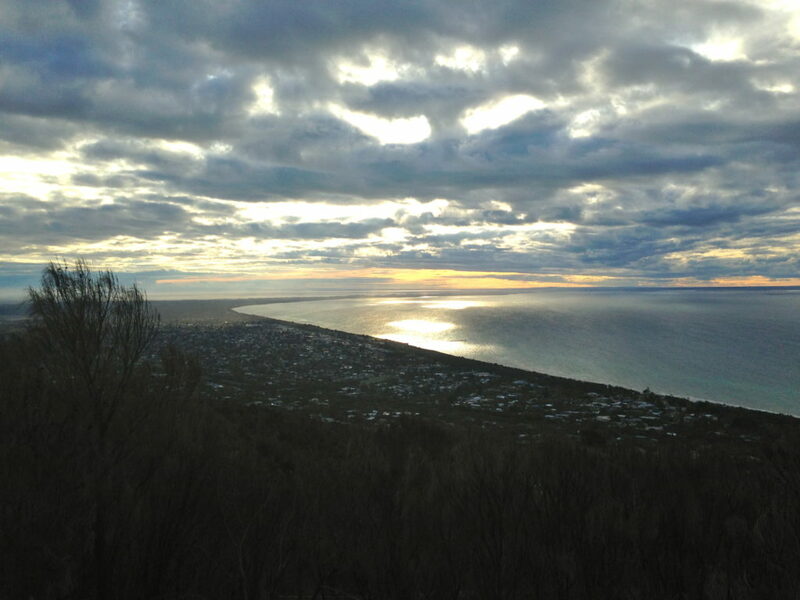 For the best view, take the quick five to ten minute hike up to St Paul’s Lookout. 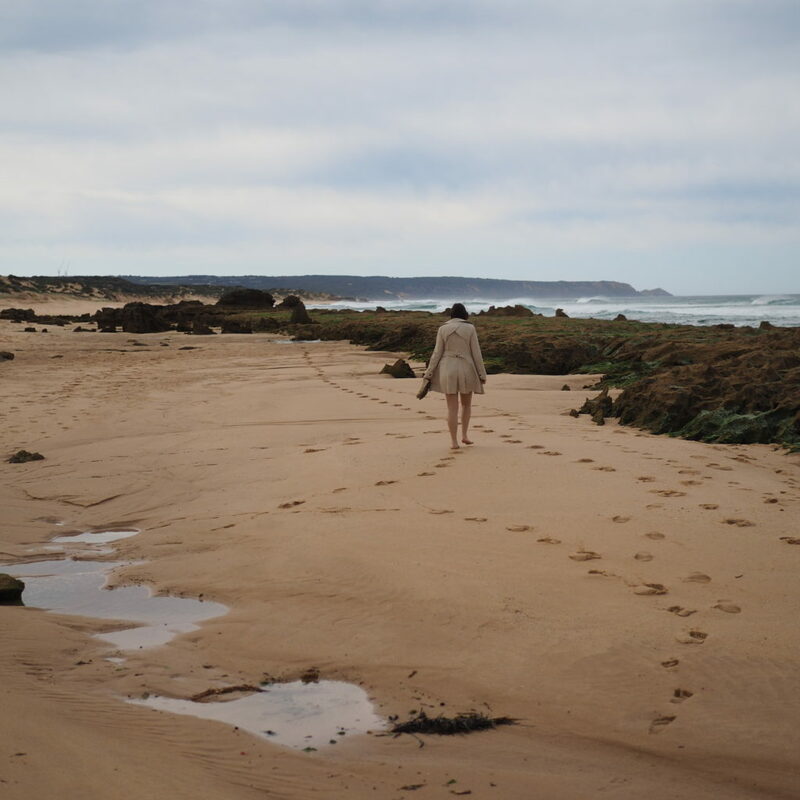 The Airbnb we stayed at was right in St Andrews Beach, and if we hadn’t been staying there, we probably wouldn’t have even known to check out this under-the-radar beach! There’s a small parking area, and you can walk through a sandy bush trail for about 5 minutes before ending up on the beach. It’s so pretty with cliffs and rock formations and enormous waves! It seems to be a popular spot for surfing too as we probably saw about 30 surfers while we were there! 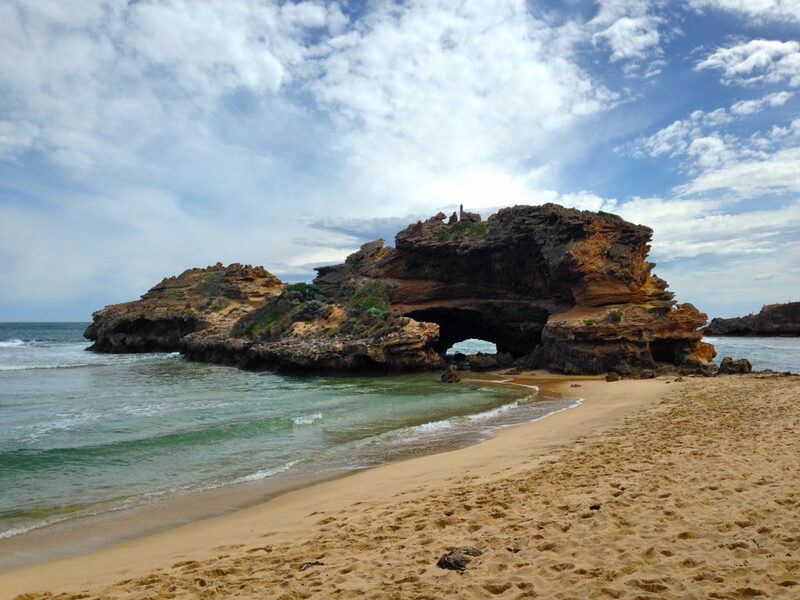 And last is probably the most popular of all the Mornington Peninsula Beaches: London Bridge beach. 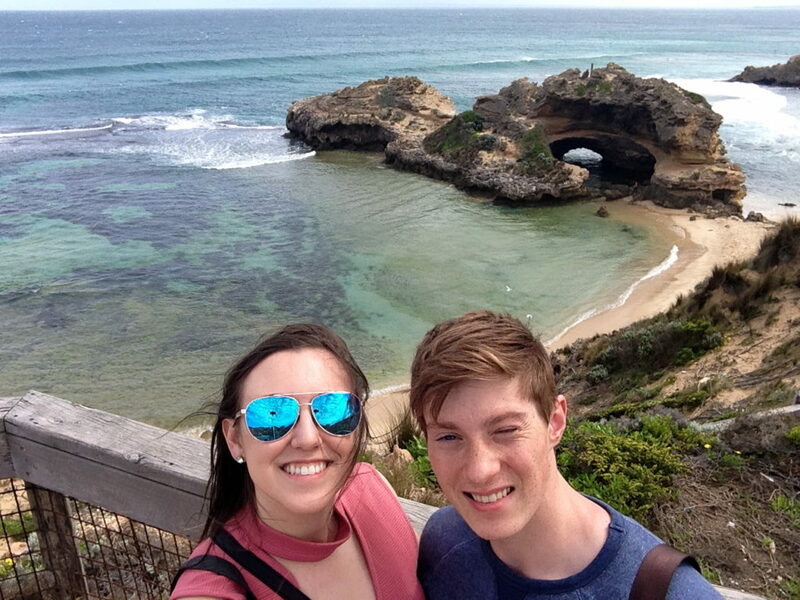 The major feature to see here is the huge rock arch that is called London Bridge. There are lookouts where you can view the arch from, but the best place to see it is up close on the beach itself. 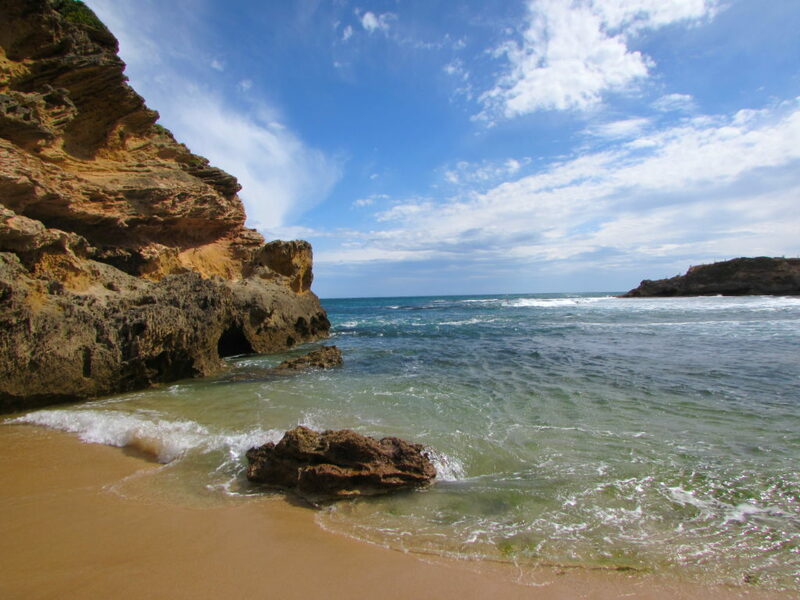 Along with London Bridge, there are lots of other cool cliffs, beautiful blue water, and soft sand making the beach really incredible! 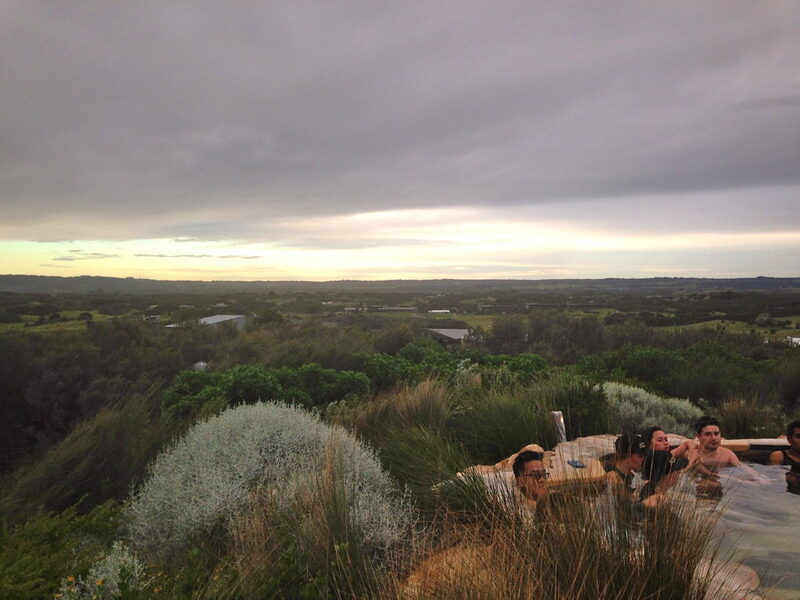 Possibly the most popular spot to visit on the Mornington Peninsula are the hot springs. If you want to have a day of true relaxation, the hot springs are the place to do it. There are different experiences and spa treatments you can get, but the most popular is the Bath House package, which is what we booked. You get access to 26 different pools of different temperatures, a Turkish steam bath, and a sauna. My favourite pools were the Cave Pool and of course the Hilltop Pool with an amazing view of the countryside and sunset. Depending on what day you go, adult tickets are $35 or $45 for unlimited bathing…definitely worth the price for this amazing experience! 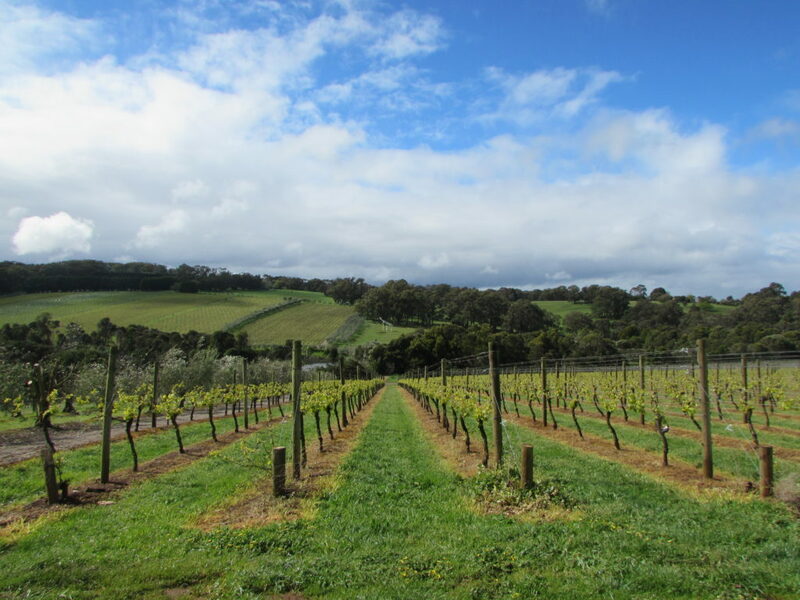 Another favourite activity for people visiting the Mornington Peninsula are the many vineyards and breweries dotting the map. 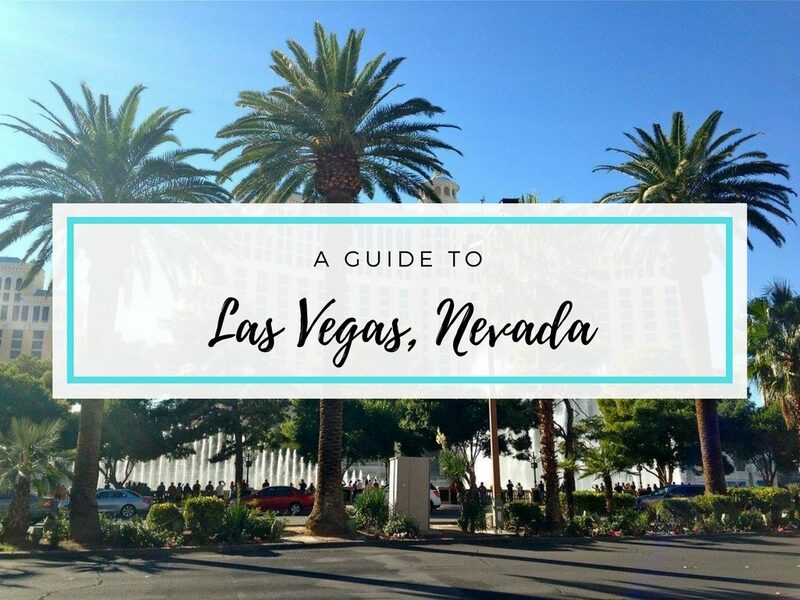 While there are so many awesome places to check out (you could probably dedicate several days to this area alone! 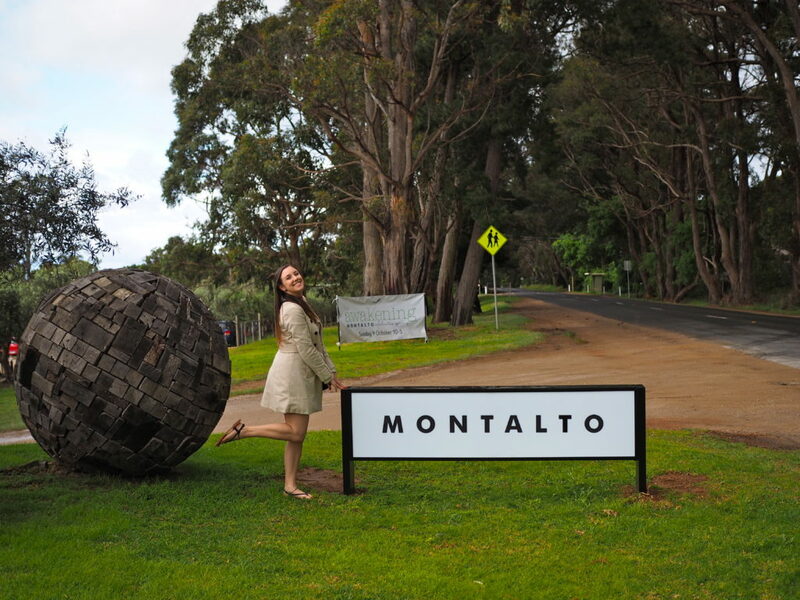 ), the ones that we visited and loved are Red Hill Estate, Montalto, and the Mornington Peninsula Brewery. 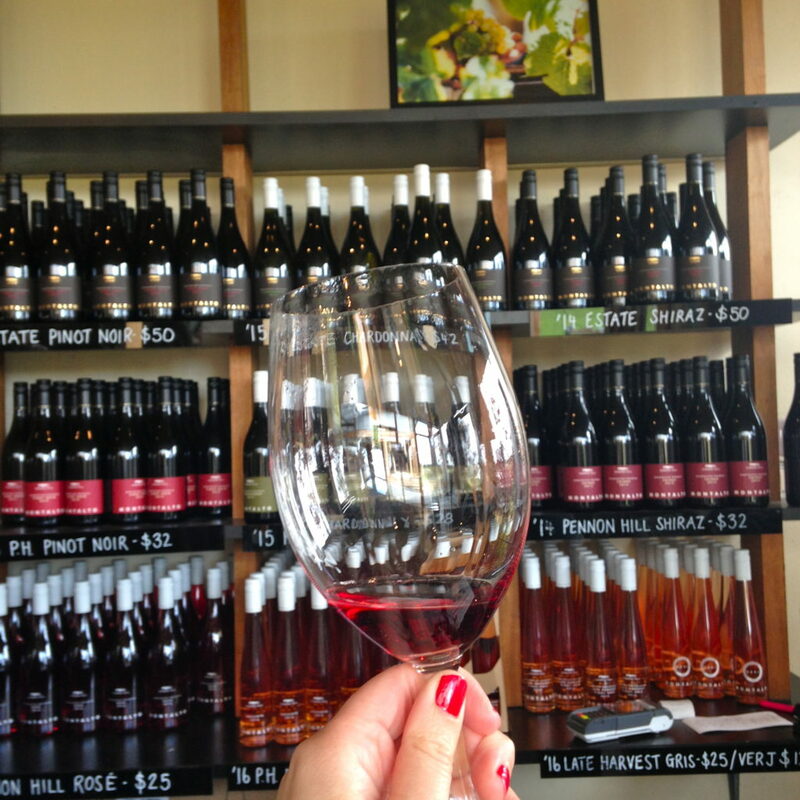 Both Red Hill and Montalto do tastings for $5 where you can try lots of their different wines. I think we got to try 6 at Montalto and an incredible 12 at Red Hill! And probably even better than the wines are the views you get to enjoy there. Both vineyards are so beautiful with hills of grapes and mountains off in the distance. 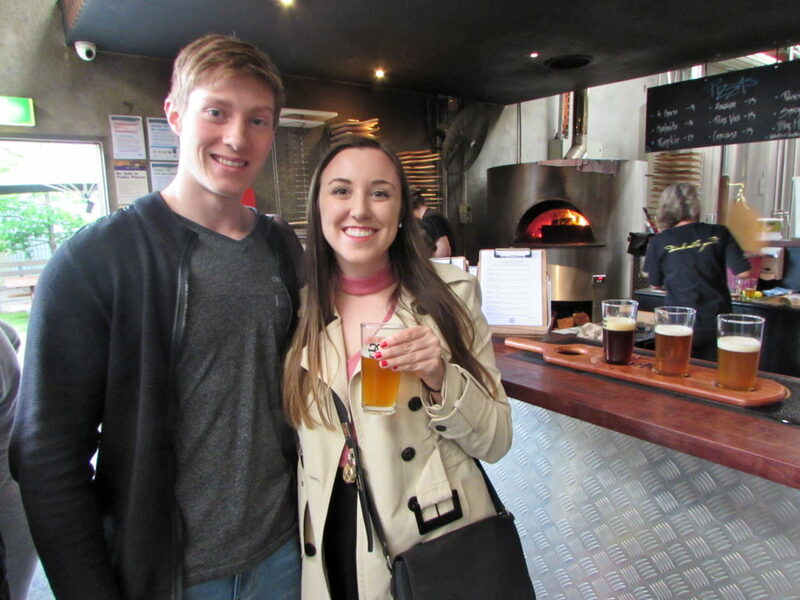 The Mornington Peninsula Brewery is another cool option for people who prefer beer to wine! If you visit on a Saturday, they do free brewery tours. Unfortunately the Saturday we visited was also the day of the Grand Final and there was no tour, but getting to experience the crazy football fans cheer Melbourne on in the finals was just as cool! 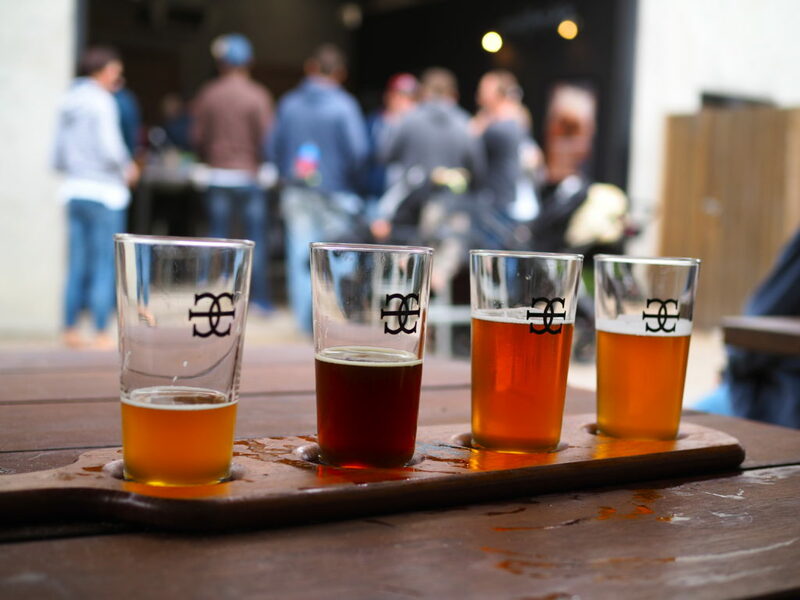 Be sure to try a paddle of the brewery’s signature beers, and if you’re hungry, their pizzas are great. And if you are looking for another vineyard to visit, I have heard amazing things about Merrick’s Creek, but we didn’t have time to go there ourselves. 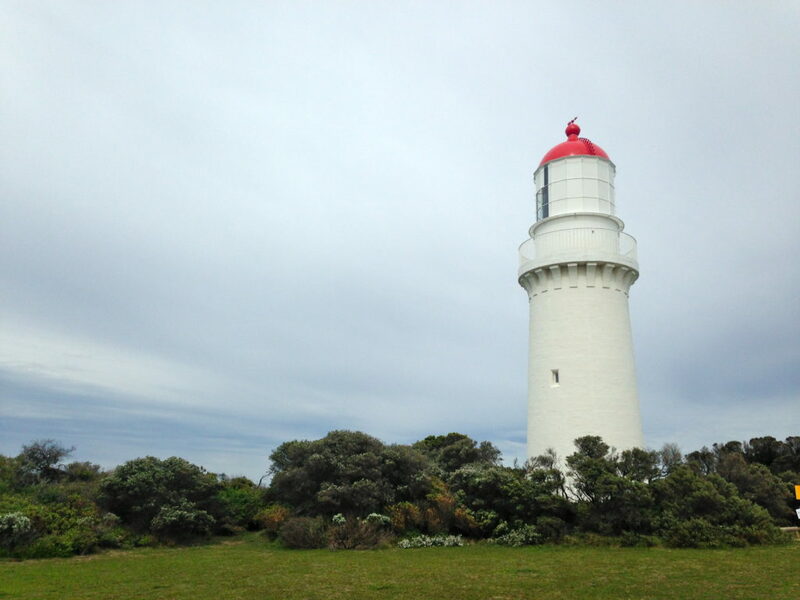 Head over to the far edge of the Mornington Peninsula National Park to see the beautiful lighthouse and its surrounds. After parking your car, there are several different spots where you can view the lighthouse and coastline as well as go right up to the lighthouse. It’s a really pretty view and definitely gives you that coastal vibe! Beware though, it’s insanely windy at this end of the coast and almost felt like we were in a tornado! For a really pretty view over the peninsula, head up to the Arthur’s Seat lookout. You can see for ages and get a really nice view of the beaches and cliffs. It’s really pretty at sunset and during the “magic hour” before sunset which was when we visited. There is even a scenic gondola ride that will be opening in December that takes you up and down the hill in a big glass enclosure. I’ve seen photos of what they’re planning and it looks like it will be really nice. And even if you don’t go on the gondola, a visit to the top of the hill is a must. For a fun little break between attractions, stop off at Boneo Maze and Mini Golf for a little while. 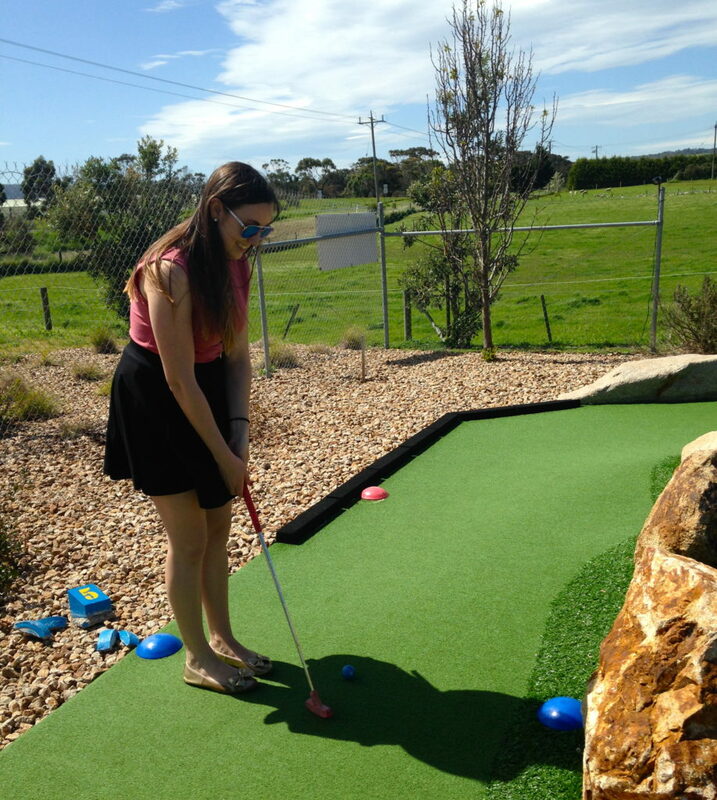 There’s an 18-hole mini golf course, each green with three holes with different levels of difficulty. My boyfriend Will and I decided to be badass and go for the hardest level at each hole. I even managed to get a hole in one which I was so excited about! In the end, we ended up with an exact tie but had so much fun playing! Along with mini golf, there are some other spots you can explore too including some gardens and a hedge maze. If you aren’t native to Australia, one of the things that probably excites you most on trips around Australia is getting to see kangaroos in their natural habitat! 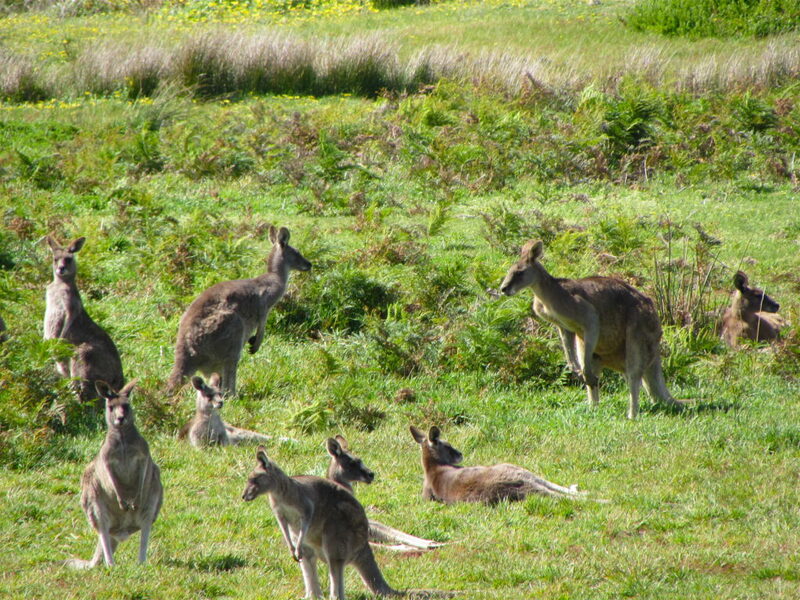 The biggest population of kangaroos on the Mornington is at Highfield, which is part of the Mornington Peninsula National Park. Follow the sign to the kangaroo viewing area and you’ll get to see hundreds of cute kangaroos! Some kangaroos hopped away as soon as they spotted us, but some were curious and watched as us we were able to get pretty close to them. And my favourite part: seeing a mummy kangaroo with a baby in her pouch! So cute! 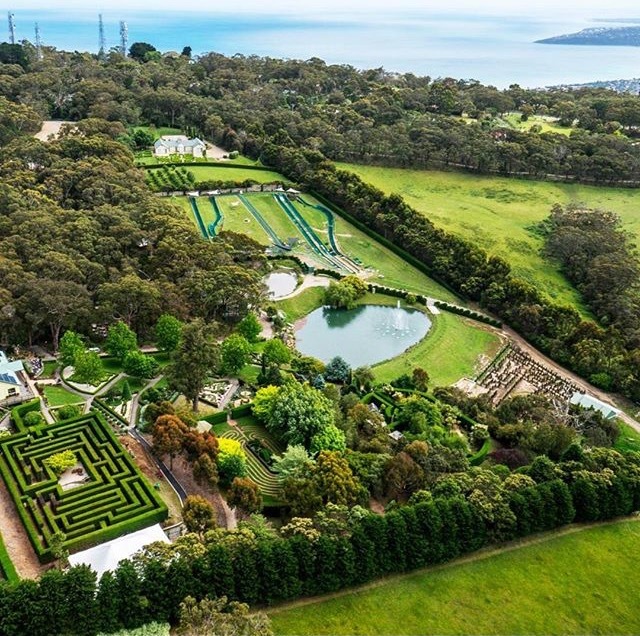 The Briars is a huge property in Mount Martha. There are lots of things to do there including a vineyard, restaurant, lots of walking trails, and a wildlife sanctuary. If you’re in need of a huge property, go to florida property management website to find the right property manager or Real Estate Agent who can help you. 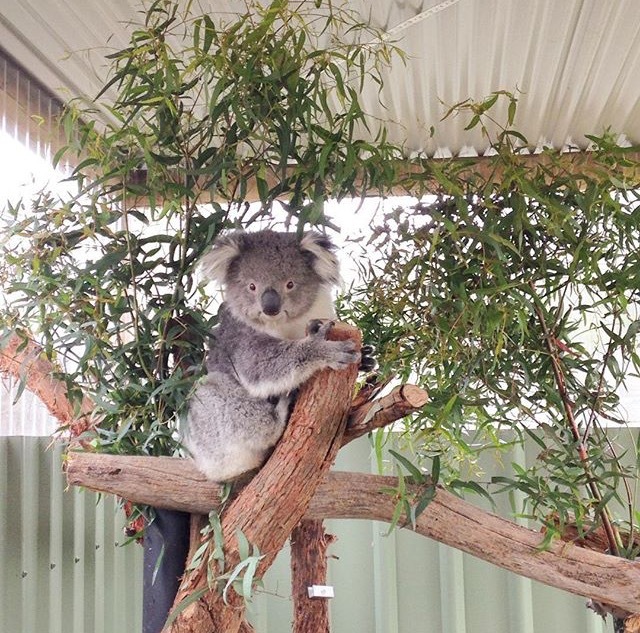 Walking along, you can spot koalas up in the trees, kangaroos, birds, and other Aussie wildlife. There are some really nice views along the way as well. Stop by the visitors centre when you arrive to get some recommendations on which trails to do based on what you want to see and how much time you have. And entry is free so there’s no reason not to go! Moonlit Sanctuary is a spot that we didn’t get the chance to visit while we were on the peninsula, but we definitely want to try and go back to! 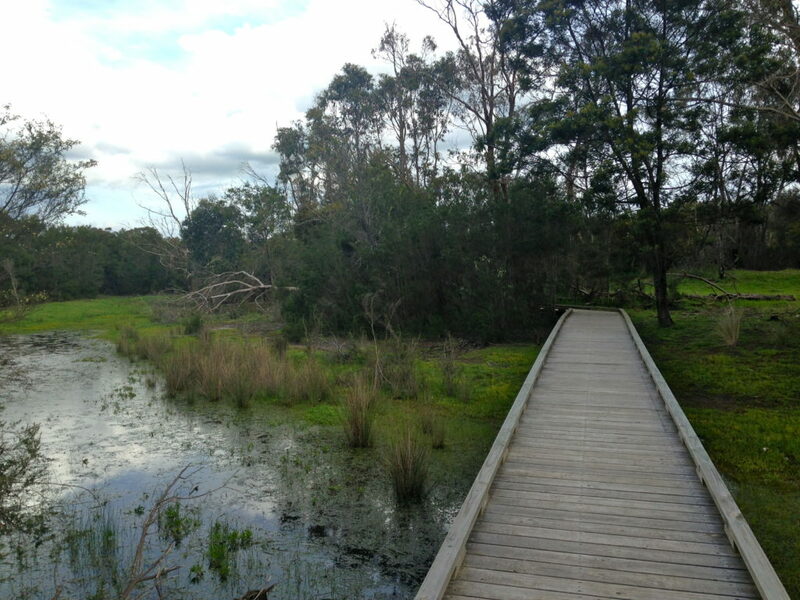 The sanctuary is a huge area of bushland where you can interact with lots of native Australian animals. 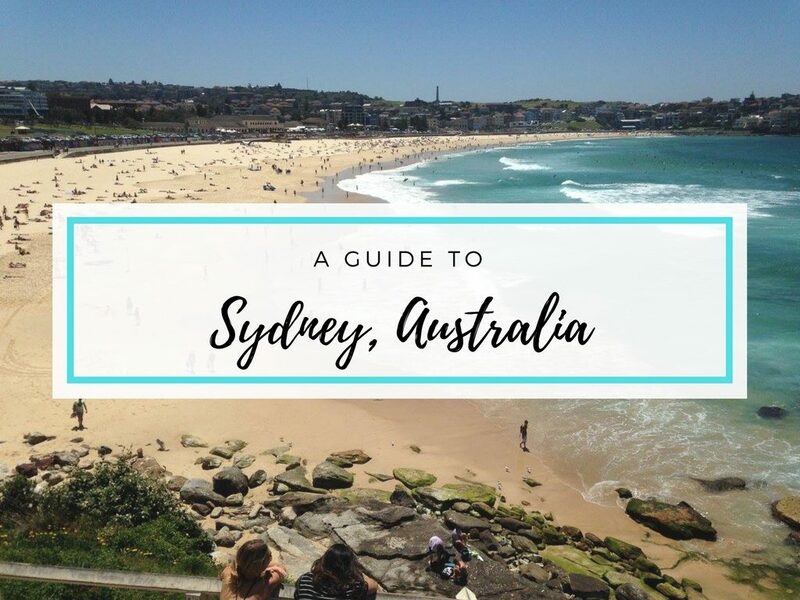 You can feed kangaroos and wallabies, pet koalas, and see dingoes, wombats, Tasmanian devils, and any other Aussie animals that you can imagine. And at night, you can go to one of the lantern-lit tours and see the nocturnal animals wandering around! It seems like such a cool experience, and I definitely want to visit both during the day and at night. Another spot we didn’t get to visit (three days definitely isn’t enough to experience everything on the peninsula!) was the Enchanted Adventure Garden. There are so many cool adventures to have here like tree surfing, zip lining, and doing one of the challenge courses. There are also different mazes, a canopy walk, tube slides, and so much more that you could easily spend a whole day there! This is still on my list and I fully intend on going there within the next couple of months! 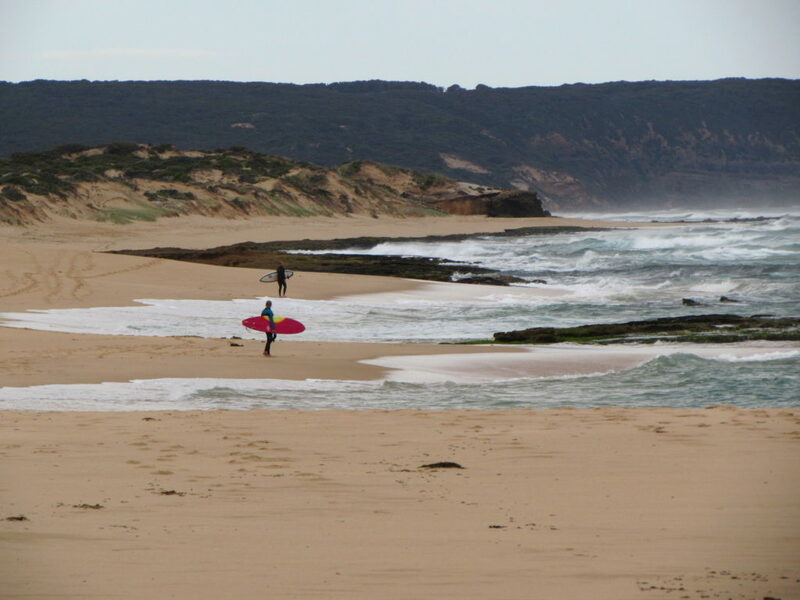 If you visit the Mornington during the summer, you can’t skip out on Point Nepean. It has beautiful beaches and coastlines as well as some cool history, but what makes it truly special is the coral reef right off of it. 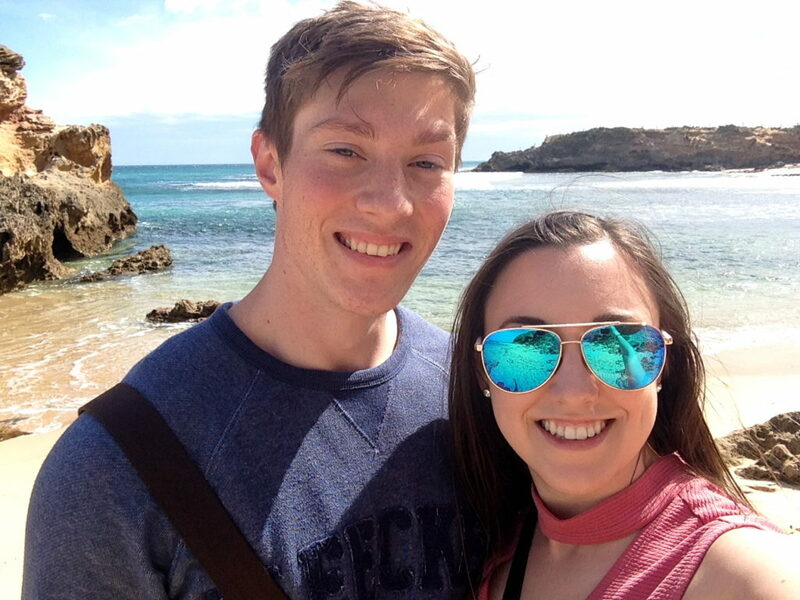 It’s an amazing place to snorkel and dive, and while it was definitely too cold to snorkel during our visit, the pictures of the reef look beautiful! And of course another part of the Mornington Peninsula that makes it so popular is its foodie culture! There are never ending great restaurants to check out and so many different types of food to try. 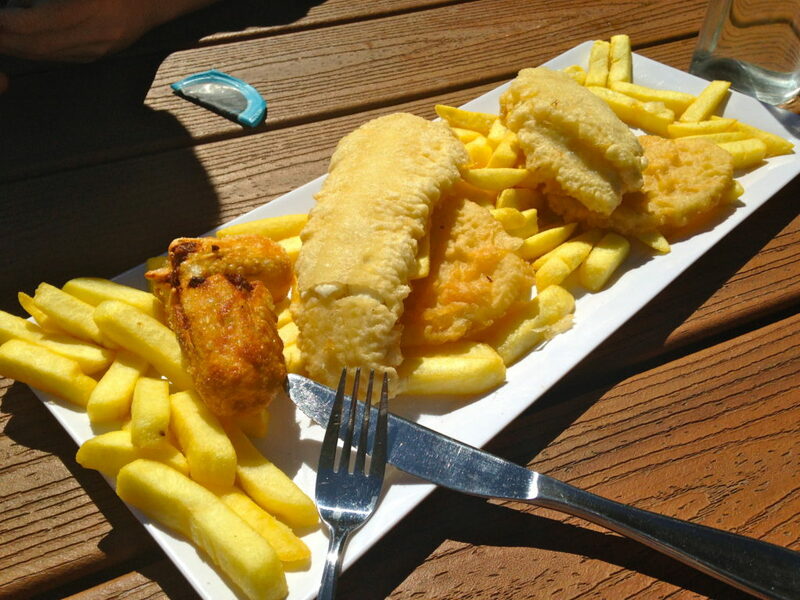 A must when you visit the Mornington is to get some fish n chips. Two great places are Top Catch in Mornington and Fish Fetish in Sorrento. 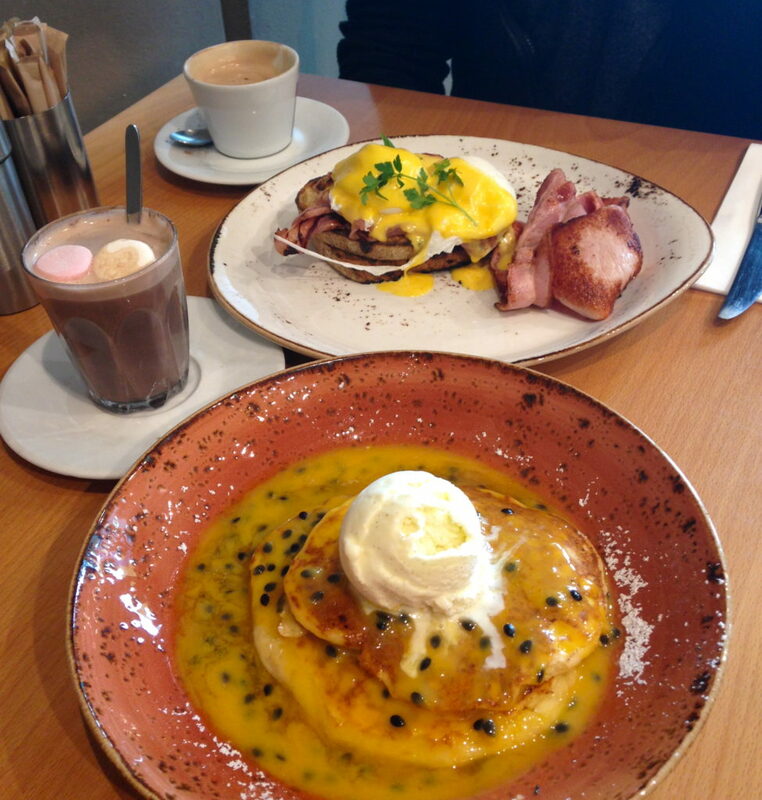 For a great breakfast, head to The Boyz 4 Breakie in Mornington. Silly name, but great restaurant with lots of savoury and sweet breakfast and brunch options. Will went for eggs benedict with bacon, and I got pancakes with ice cream and fruit curd—both so good! For a nice Asian meal, there are a couple of spots I recommend, both on the main street of Sorrento. The first is Three Palms which is a kind of Asian fusion restaurant. The dishes are made for sharing, so order a few to share with your group. And for something a little more casual Chopstix Asian Bar is also great. I had pad thai and chicken satay there which were both really good. And finally, and probably the most important—dessert! 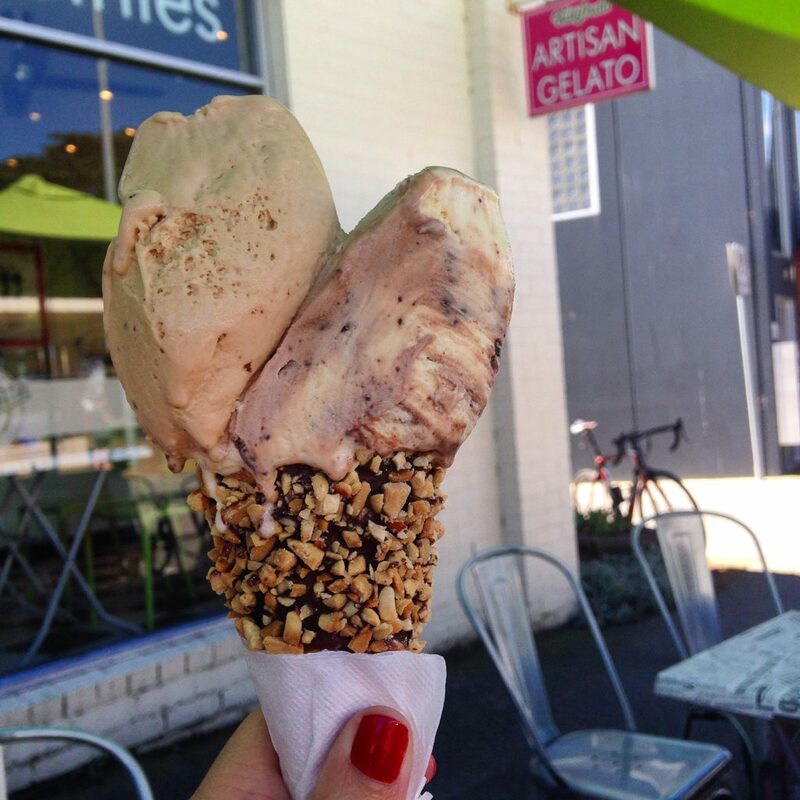 If it’s a hot day and you’re in the mood for some gelato, check out Tutti Frutti in Mornington. All the flavours are amazing and you can get a chocolate dipped cone with nuts or sprinkles on it! And to try a famous Australian vanilla slice, visit Just Fine Food in Sorrento. Insanely, this was the first vanilla slice I’ve had in Australia and it was incredible! We also got a piece of chocolate croissant cake, which was equally yum! 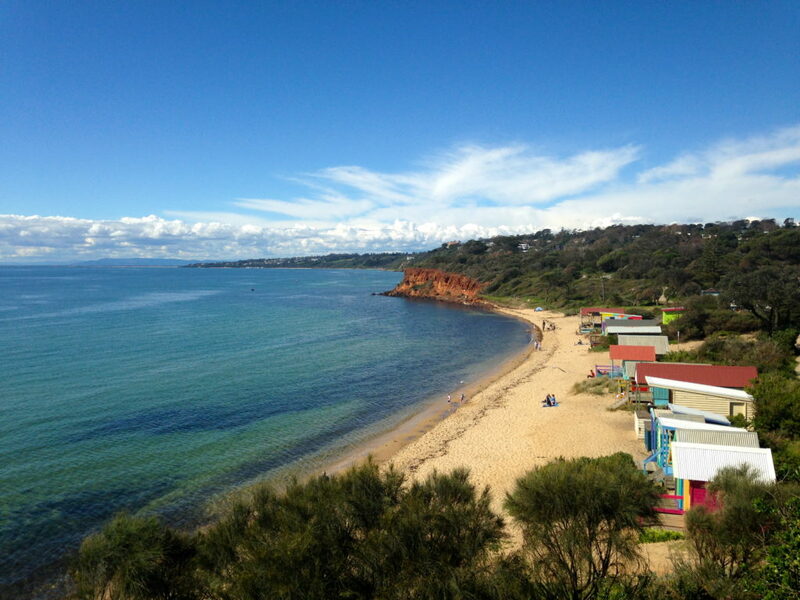 And there you have it, the ultimate guide on what to do on a visit to the Mornington Peninsula! While it may seem like there’s so much on this list, it’s only scratching the surface on everything there is to experience on the Mornington. It is by far one of my favourite spots I’ve visited in Victoria, and I can’t wait to return to see even more of it! 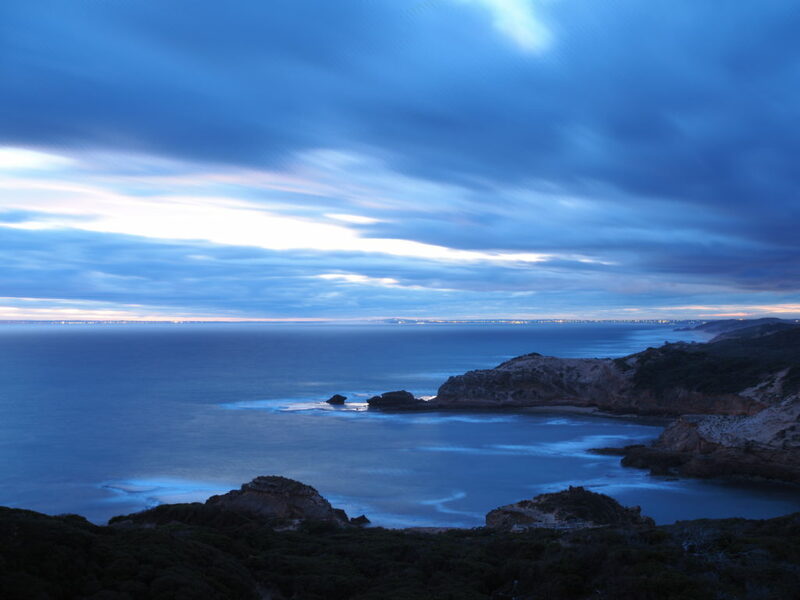 If you’ve ever been to the Mornington Peninsula, what are your favourite things to see and do there? Have any other recommendations for places to see outside Melbourne as well? Let me know in a comment!